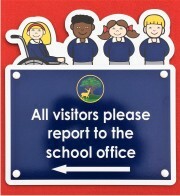 General School Notice Signs: Here at Signs4Schools we supply a wide range of general school notice signs that can be used all around your site. 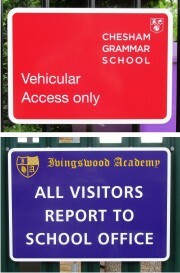 We offer a standard range of 65 signs but we can appreciate that different schools have different messages they need to convey therefore we offer you the option to design your own school notice sign or information sign for No Extra Charge. 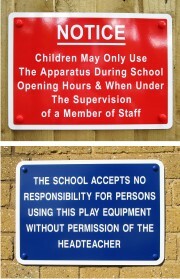 The General school notice sign range comes in a variety of options to suit wall mounted school signs, signs for railings mounting and school notice signs supplied with their own aluminium post. 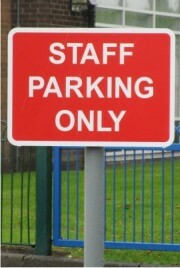 With a range of 26 standard colours to choose from we are sure you find or even create your own sign which will be perfect for your needs.